LAKE LORRAINE RETREAT - Congrats on finding one of the jewels of the Northwoods. This private but very accessible refuge provides a menu of features designed by the architect and owner to satiate all the world&apos;s turbulence with the yin and yang of the Northwoods experience. 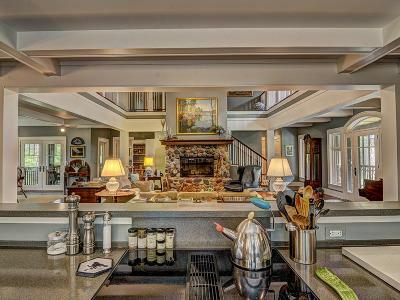 For example, imagine beginning the day with that dark roast coffee and hot sweet roll on the screened porch off the master and finishing the day with a libation in hand on the screened porch off the spectacular great room. Which brings us to the great room, a perfect marriage of comfort, elegance, and cathartic Northwoods healing. Truly an unexpected journey into a touch of class. There is so very much more here but I choose not to ruin your wonder and exuberance as you discover for yourself. Welcome aboard the journey.